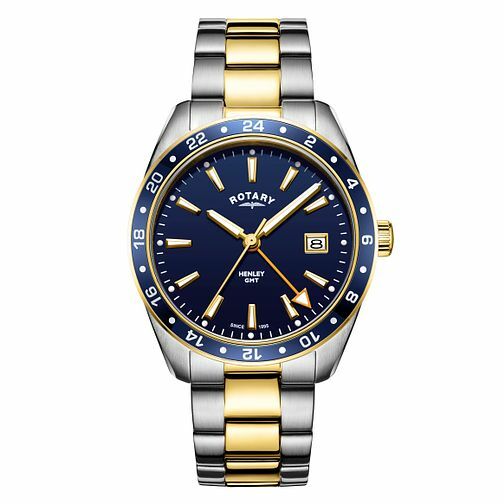 A sleek and sophisticated timepiece by Rotary, the Henley men's model boasts a trendy two tone stainless steel case and bracelet. A bold blue bezel presents a classic blue dial featuring a date display window at 3-o-clock and gold tone hands and hour markers with luminescent accents for easy readability. Powered by quartz movement, the ideal watch for the sophisticated man.